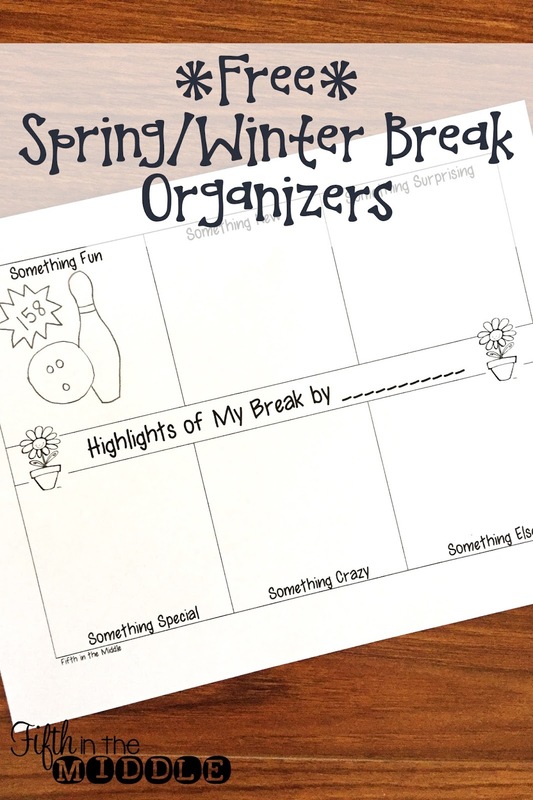 Just a quick post to hop in on some freebie sharing! 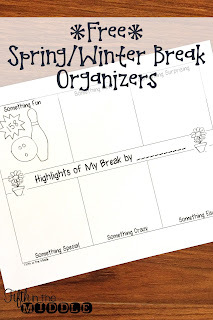 Students draw or write on this organizer to share events of their break. 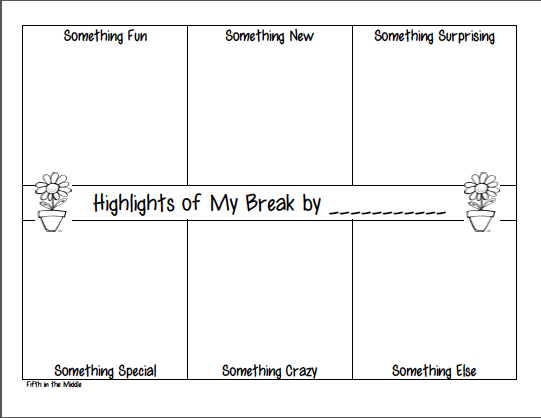 I give students five to ten minutes to draw or write in each section. Then I go around the room and allow students to share one thing from their paper. Easy peasy and it gets everything out of their system first thing back! Click the image to get it! I love the highlights idea, thank you! !